ICRW | PASSION. PROOF. POWER.PublicationsTechnology-Facilitated GBV: What is it, and How do we measure it? Cyberbullying, cyber violence, online harassment. We’ve heard these terms, but they fail to capture the spectrum of violent behaviors that occur in digital spaces and disproportionately affect women, girls and sexual minorities. These terms also do not capture the severity and lasting impacts for the victims/survivors or convey the links between online and offline experiences of violence. Without first acknowledging the full range of gender-based violence enacted online or via technology, we will be unsuccessful at preventing it and effectively supporting those who experience it. 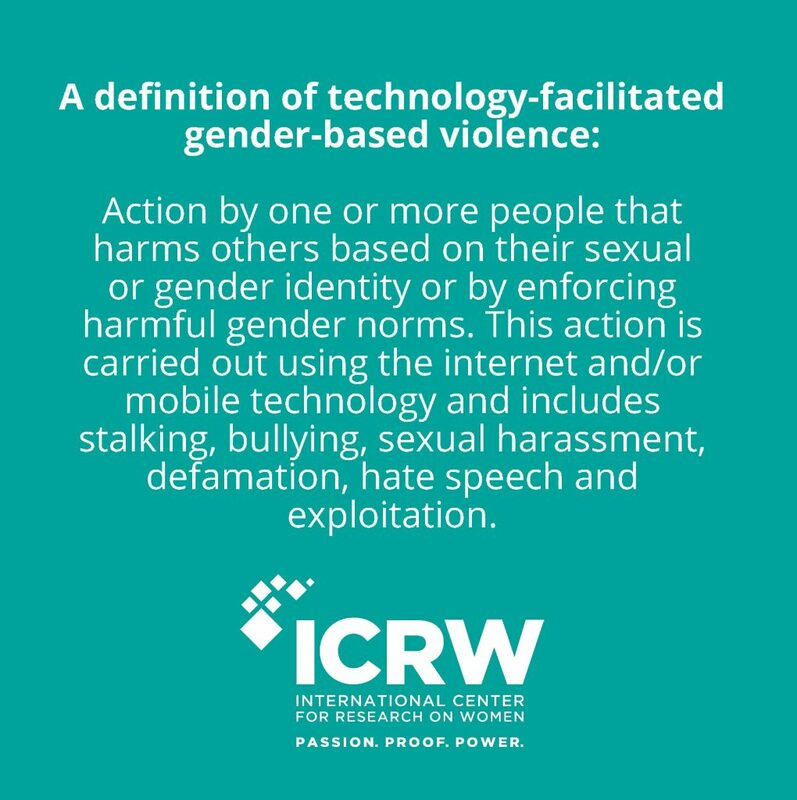 ICRW has developed a definition of and framework for understanding technology-facilitated gender-based violence (GBV) that links previously disconnected harmful behaviors. Connecting the pieces of this puzzle allows us to understand the depth and breadth of this growing public health and human rights issue that compromises the safety and well-being of individuals and negatively impacts communities. To learn more, read our brief by clicking below. Publication Author: Hinson L, Mueller J, O’Brien-Milne L, Wandera N.